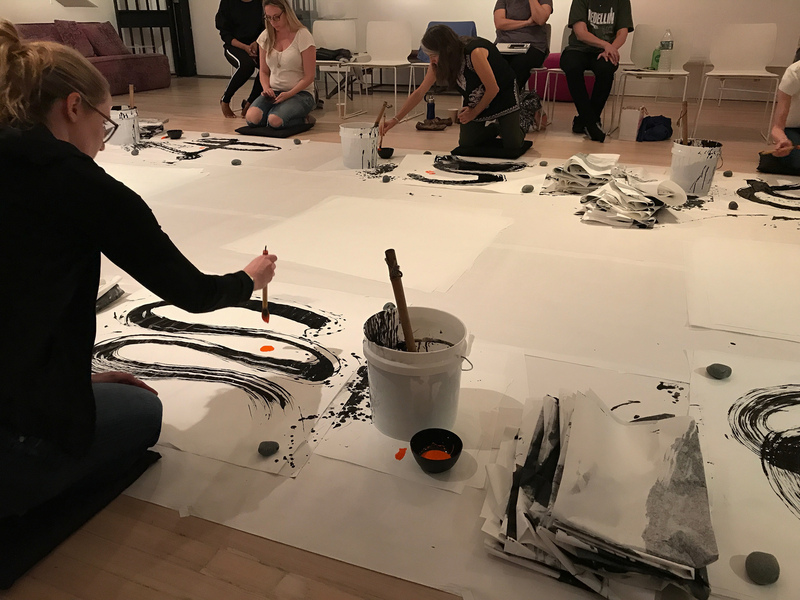 Thank goodness Barbara, our Big Calligraphy Mind workshop teacher, said that “taking photos of our work is sweet and poignant” because this is a calligraphy workshop that has participants destroy what they create right after the paint hits the paper. “Oh my,” I thought. I loved this workshop. 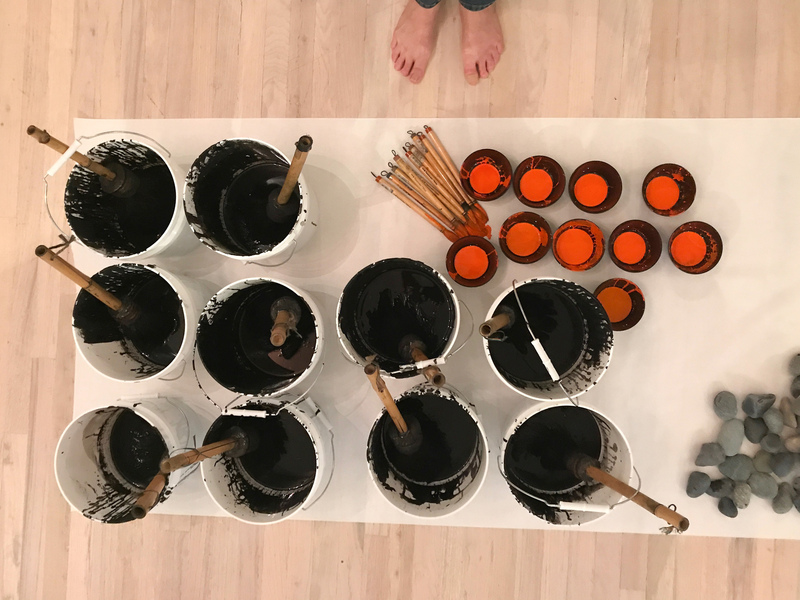 There are few opportunities in everyday life to play with gobs of black paint and see where the brushstroke takes you. 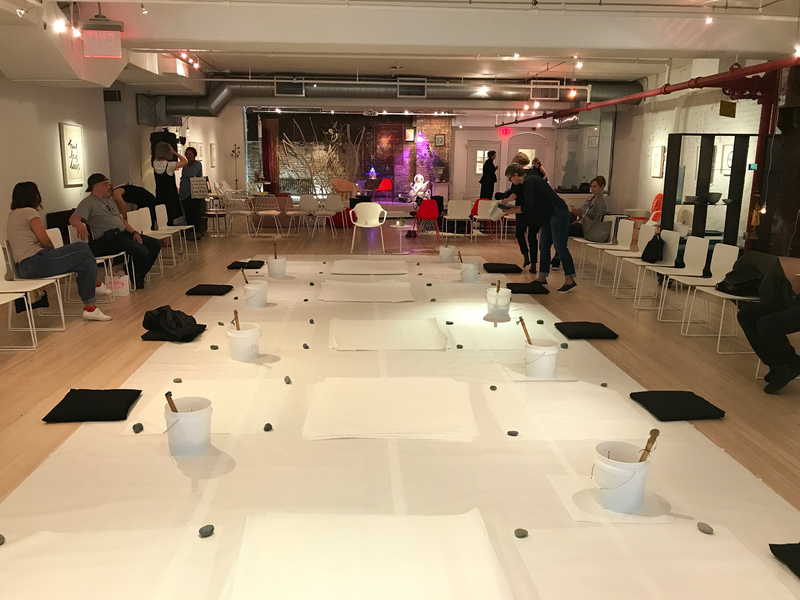 The class was held in the ABC Home store in NYC. Deepak Chopra’s studio is right here. 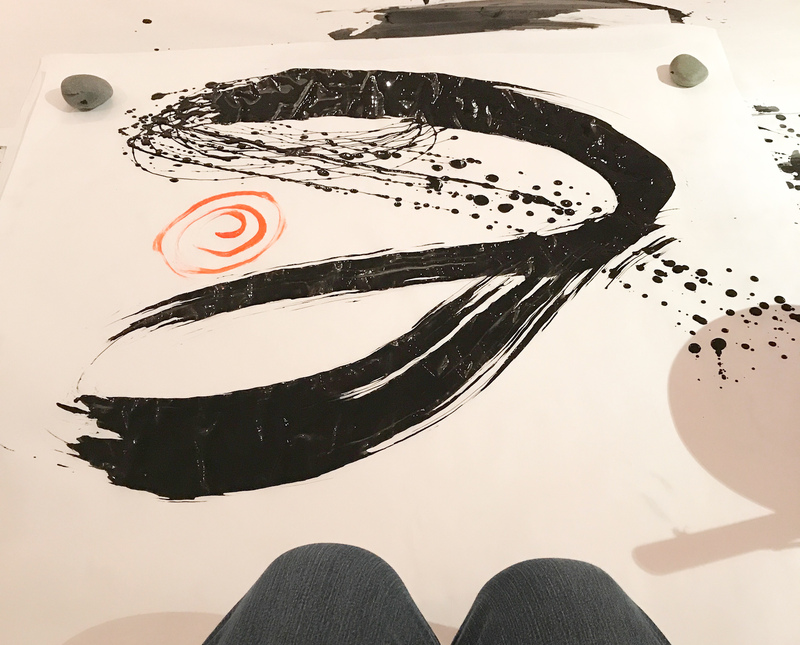 The room is surrounded in Thichh Nhat Hahn’s original calligraphy. The setting is extraordinary. The sign on the sidewalk just outside the workshop says, “In Pursuit of Magic.” It stopped me. I realized that if this blog has a theme, pursuing magic pretty much sums it up. 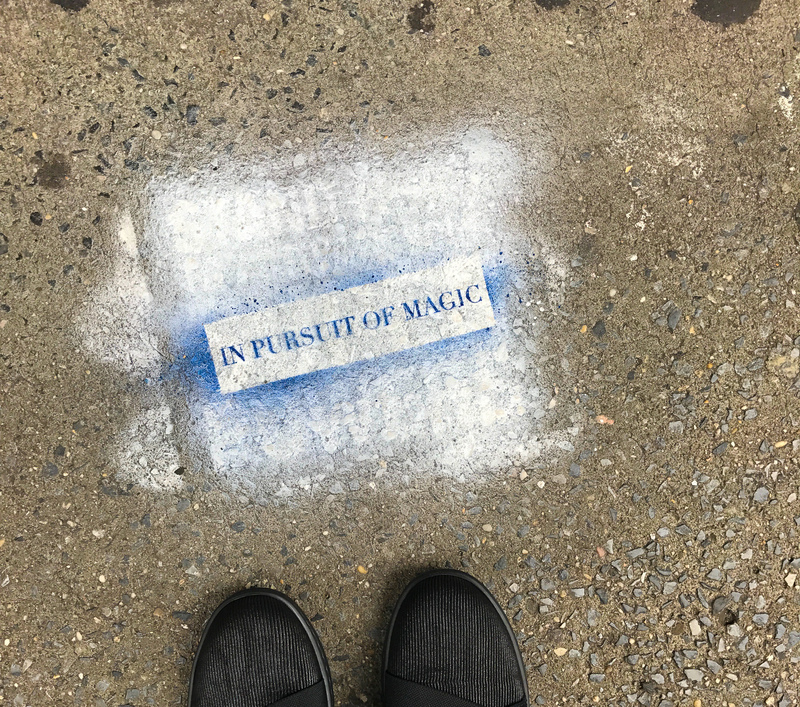 In Pursuit of Magic, outside ABC Home in NYC. 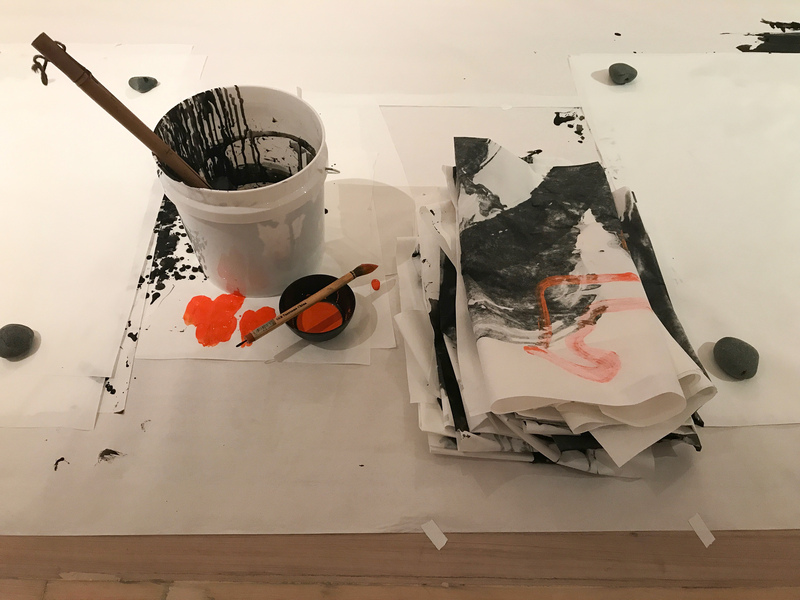 Brushstrokes on paper are alluring to me. 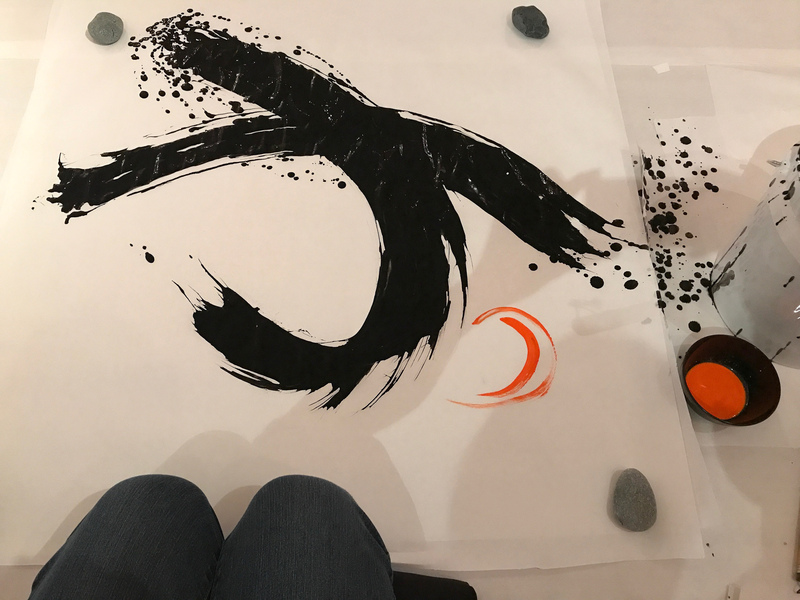 In fact, after this experience with calligraphy, I signed up for a watercolor class. 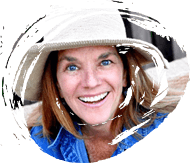 Creativity fills the space you give it. 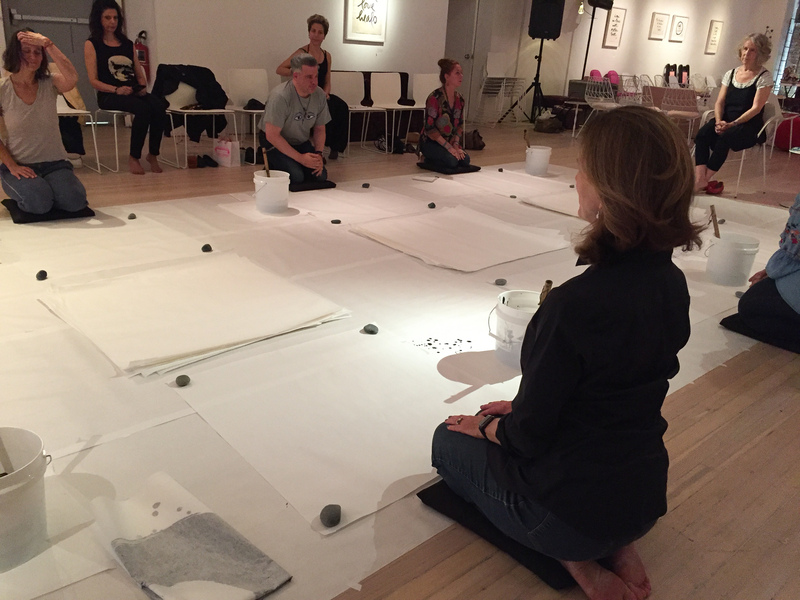 I’ve never taken a class quite like this before, but was able to surprise myself with what I created by virtue of giving myself permission and the space to make. Just about to get started in the workshop, Big Calligraphy. 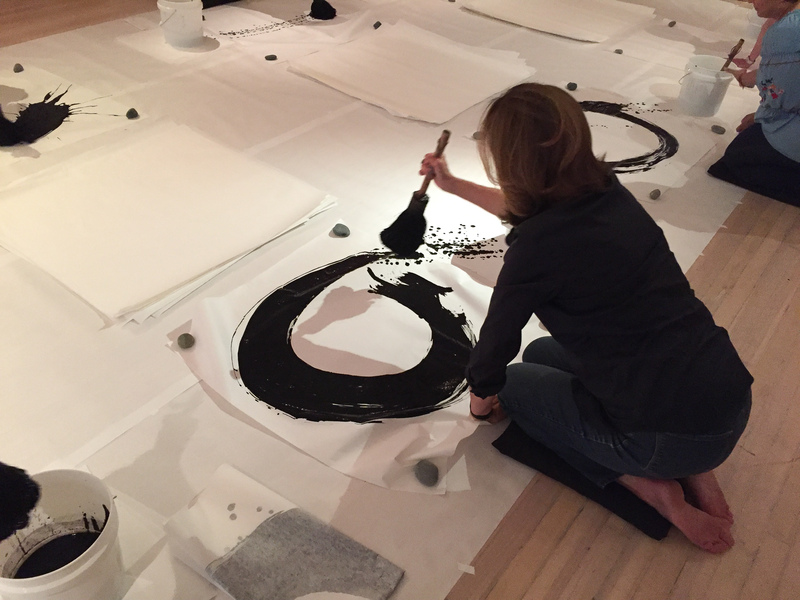 Barbara Bash, creator of the Big Calligraphy method. Getting ready. You bow to the person in front of you. My first circle. Heaven, Earth, Human. In one stroke. Heaven, Earth, Human….the red is FLOW. Of course I had to add in a moon. I had so much fun with the cleanup! Most of these photographs are taken by me, except those of me in the workshop. I used my trusty iPhone 7 for this post. 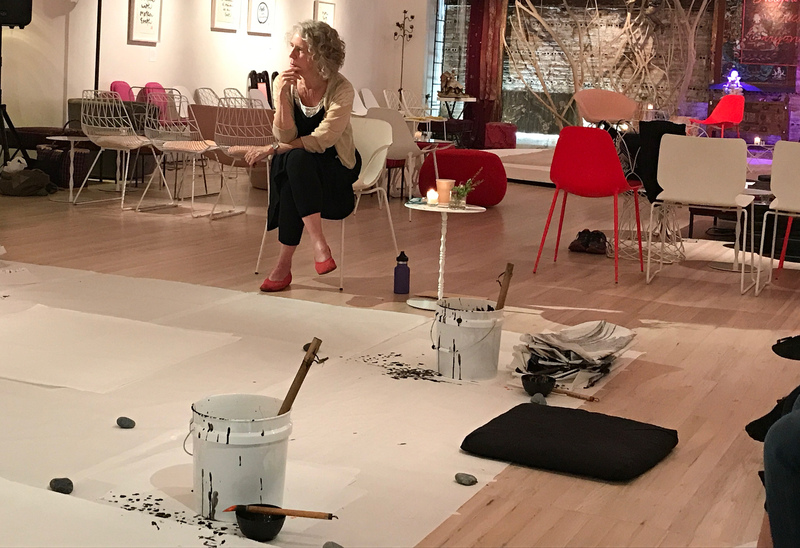 Thank you to Penny Hornwood who participated in the workshop and was willing to snap a few photos of me painting. Hard to hold onto an iPhone and a paint brush at the same time.